Avlyn Noel White Quilt Kit. Finished quilt size is 60″ x 86″. 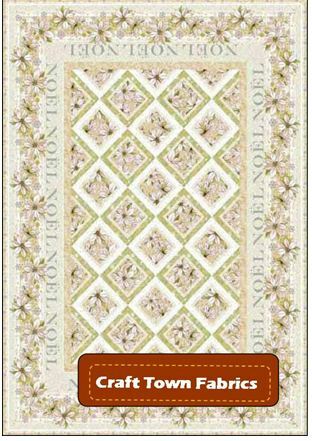 Avlyn Noel Quilt Kit is a free pattern from Avlyn. 5 1/3 yards is needed for the quilt backing. Please list fabric item # selection in COMMENT SECTION. Kit includes all fabric for top, pattern and binding. Kit does not include batting and backing. This entry was posted on Wednesday, August 11th, 2010 at 10:13 am and is filed under Uncategorized. You can follow any responses to this entry through the RSS 2.0 feed. You can leave a response, or trackback from your own site.